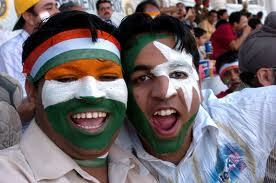 Words on Cricket: Diplomacy and Cricket are not synonym. There is no other cricket contest like it. When India plays Pakistan, more than a billion people in the sub-continent and the South Asian diaspora put their lives on hold. Not only because it is a rivalry rooted in our hearts and minds but also because India and Pakistan don't play each other enough. The compulsions of politics have ensured that cricket between the two countries has become a diplomatic bargaining chip. Although it is a semi-final of cricket tournament but as I mentioned it has become pitch of diplomatic discussions as well. Honorable Indian Prime Minister Mr. Manmohan Singh has invited his counterparts to witness this match with him at Mohali. Mr. Singh sent invitation to Pakistani Prime Minister Mr. Yusuf Raza Gilani and President Asif Ali Zardari to join him at Mohali to watch the high-voltage semi-final game between India and Pakistan.Although Pakistani President Mr. Asif Ali Zardari will not come but Pakistani Prime Minster Mr. Yusuf Raza Gilani has accepted the invitation after lot of discussion with their Army Chief General Mr. Kayani and President Asif Ali Zardari. We all know Pakistani government is dominated by its army, so I think Mr. Manmohan Singh made a mistake by sending invitation to only Pakistani President and Prime Minister. This will not going to serve any purpose. I think it would have been better had Mr. Singh also invited the Army Chief of Pakistan alongwith two honorable guests. Then this invitation would have served some purpose. In the past also, cricket used for the diplomatic reasons but nothing concrete came out of it. Late. 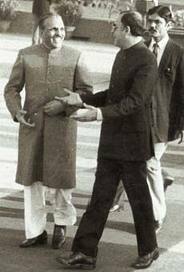 Rajiv Gandhi, former Prime Minister of India, invited Pakistani President and Army Chief Zia Ul Haq of that time to watch the Indo-Pak test match at Jaipur and Mr. Haq came to Jaipur upon invitation. He watched the game, gifts exchanged but issues remained pending and nothing sorted out from that visit. In 2005, Indian Prime Minister Mr. Manmohan Singh invited Pakistani President and Army Chief Gen. Pervez Musharraf to watch the Kotla test match. Mr. Musharraf came in enjoyed the match, enjoyed the hospitality but core issues were not resolved. 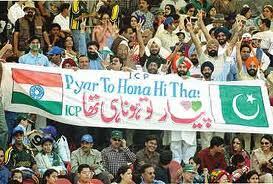 So in short whats the need of diplomacy through cricket when it is not serving any purpose. It will never going to help any of the country. I think cricket has to be played between the two countries regularly at any cost but it should not be used as a stage for diplomatic negotiations. This will not going to serve the purpose. Moreover, it increases the pressure on the players of both the teams because senior politicians of both the countries watching the match and a simple game of cricket turned out to be a war as nobody wants to lose in front of their country heads. We all are wounded with many blasts that happened in the country in last few years. Be it Mumbai, Pune, Ahmedabad, Varansi, Delhi and the list continues, so its not the right time to rejuvenate the diplomatic relations with the country whose politicians and army, sponsors the terrorism against our country. We have to keep playing with Pakistan as we all know general public has nothing to do with terrorism. In fact public of the both the countries wants peace but our politicians don't want peace because this help them in increasing their vote bank. Pakistani population is also suffering because of their politicians and they are also victims of terrorism. 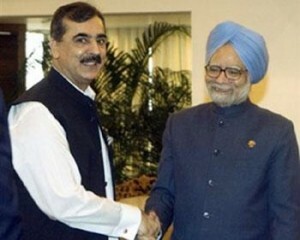 I think Mr. Singh has made the mistake by inviting Pakistani President and Prime Minister. They also accepted the invitation only to watch the game and not for any political or diplomatic discussion and this will not going to serve the purpose of the invitation and Pakistani President and Prime Minister are not empowered enough to take any decision without the permission of their Army Chief. So if Mr. Singh is thinking that by sending invitation for watching cricket match will resolve all the issues than I think he don't understand the volatile nature of all the issues pending between the two neighbours and those cannot be resolved through cricket match. Please keep cricket out of politics. I think cricket should not suffer because of the politics.